The Adrenaline Rush II, our newest inflatable obstacle course, will get your adrenaline pumping as participants go through all the obstacles. 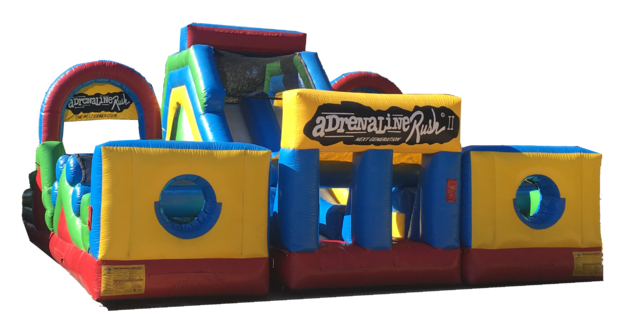 A Challenging course with over 102 feet of climbing walls, slides, logs, slide-throughs, popups & tunnels. Great for kids and adults of all ages!